Summer is here and there’s nothing quite like driving along the summer roads in a convertible and letting the slipstream and wind cool you in the heat as opposed to waiting for the AC. A breath of fresh air washes over you as you drive around, maybe with some music blasting for other people on the road to hear as well. Open-air driving is a lot of fun granted you’re fin with the wind in your hair. 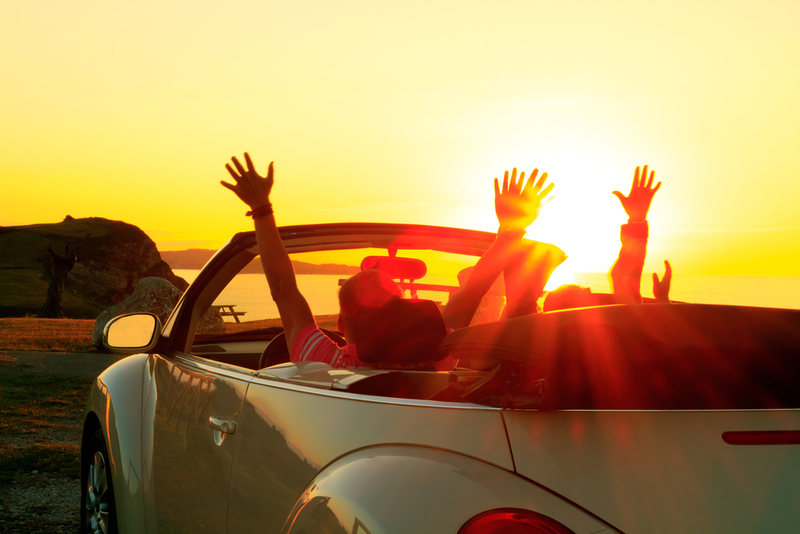 We know this fun quite well at Endurance and we’ve gathered our favorite top-down vehicles that will take your summer driving to the next level. The Cooper S Convertible starts at $30,450 and we love its unique build and growl. Mini’s distinctive styling and light weight and compact size makes for it to be offbeat and upbeat. What the car lacks in power it makes up for in being a zippy and agile with a manual is good for an 8.3 second run to 60 mph. The Mini Cooper was not made to be clocked by a stopwatch, and this particular model is for those sunny drivers mostly just looking for a good time hitting twisty roads with the top down. This car presents a surprising turn from Land Rover’s 21st century lineup. 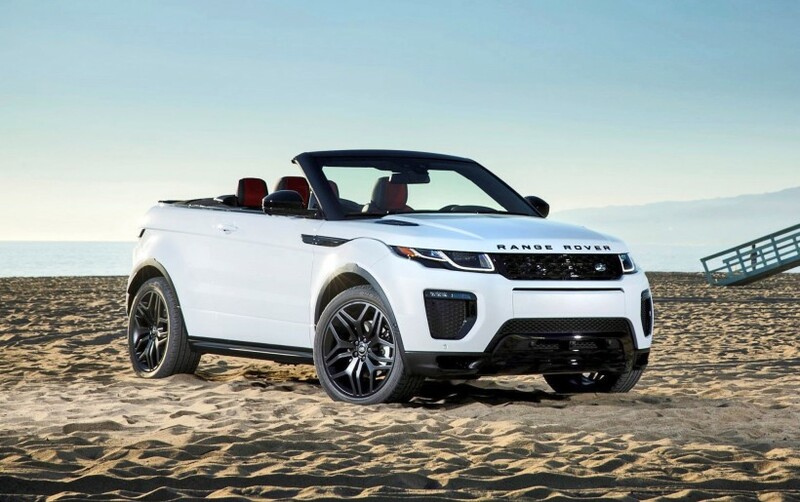 Few SUV’s outside of Jeeps get a convertible option and few people expected Jaguar Land Rover of all luxury automakers to have one of their own surprise hit of the 21st century. This newer model has a canvas roof can fold behind the rear seats in 18 seconds and will still be able to deploy during drives at speeds up to 30 miles per hour. 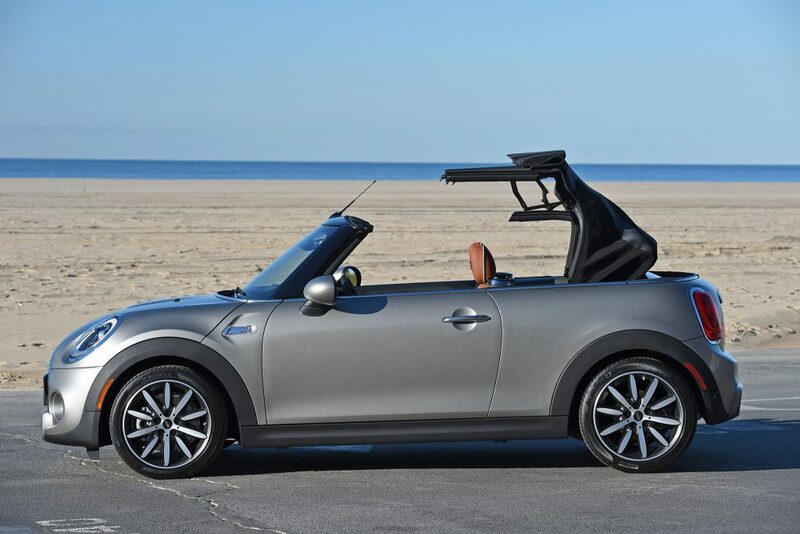 The unique motion that the folding hood makes is quite eye catching, but who would want the top up to being with? In fact, having the top down reduces a massive blind spot that may critics have notices. All the more remarkable is that no matter how many passengers or stuff you pack for those long road trips, little actually affects the performance or the handing of the Evoque. The 2017 model addressed a lot of the criticisms of the styling of the SL class. Is looks like a completely re-vamped car and with that new makeover comes renewed. The full name is the SL400 and it runs on a 3.0-liter twin-turbo V6, but brings with it 32 more horsepower and 15 more pound-feet of torque than the outgoing model for a total of 362 horses and 369 lb-ft of torque. However we really love how cosmopolitan the car looks. Drivers will be able to raise and lower the roof at speeds of up to 25 miles per hour; however it can only be done from a standstill position. 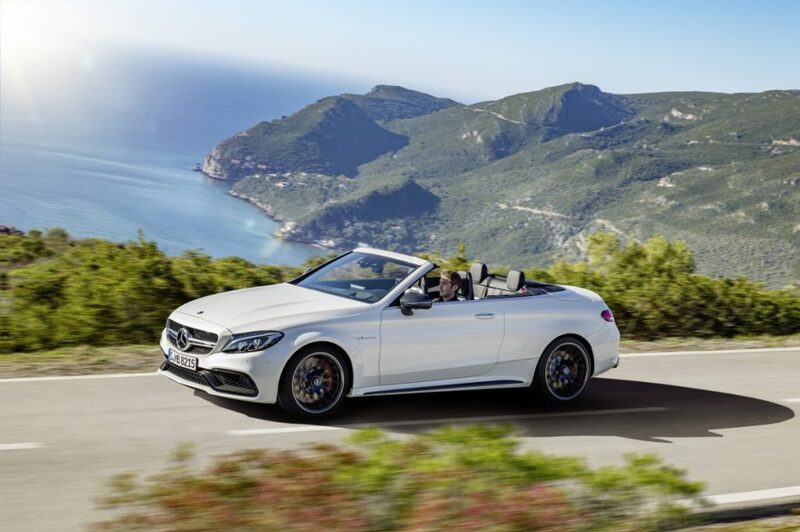 Either way the combination of sporty styling and optimized performance make this the perfect summer driving car for those looking for ideal European elegance. 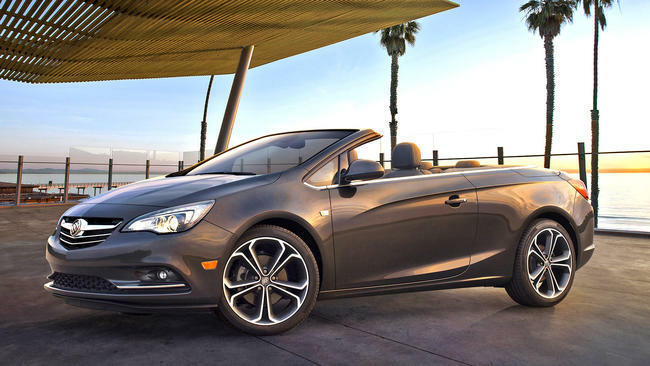 American engineering with a European twist, the Cascada (not named after the singer) comes with all new features such as forward collision and lane departure warnings and rain-sensing wipers. Buick is proud of the fact they developed the car to rival the Audi A3 1.8T with nearly a lower price point despite having approximately $4,000 more in features, 30 more horsepower, and several cubic inches of space. Cascada is cheaper than an A3 even if drivers don’t think of it as anywhere near luxurious/prestigious. 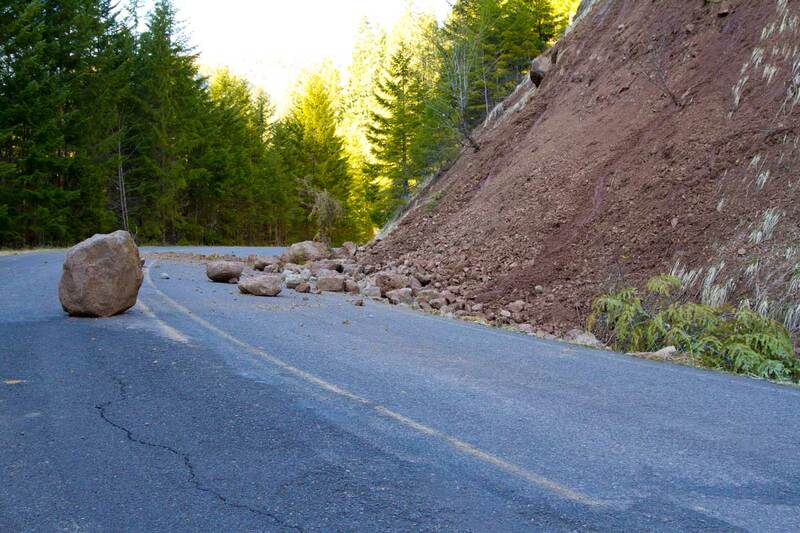 And yet, that won’t matter when you lower the top for a nice summer drive. Lack of badge prestige and a few technological issues (most European vehicles have more advanced on board systems), the Cascada has great performance and is definitely worth more than a simple rental when you’re away on business.